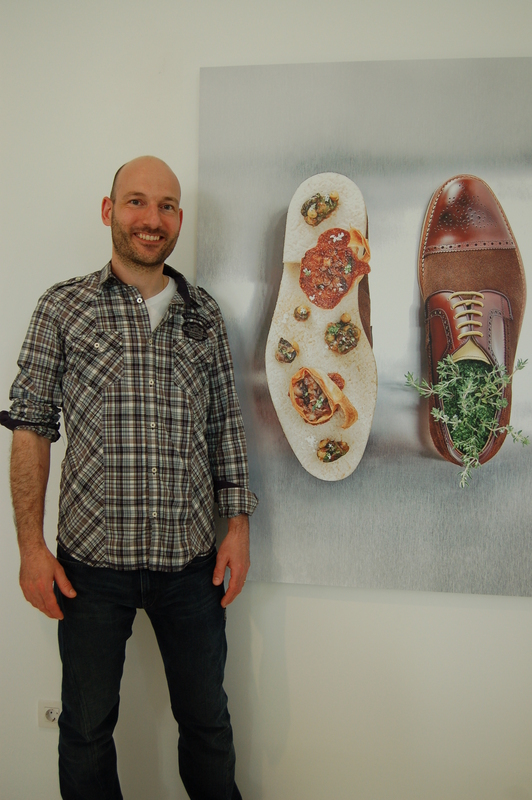 ‘Food and Foot’ is an interesting name for a photographic exhibition, but then it’s a very interesting and original concept, involving eight of Mallorca’s top chefs – members of Chefs(in), eight Mallorcan shoe manufacturers, and Nando Esteva, the award-winning photographer from Palma de Mallorca. I love food – but I also have a weakness for shoes. The great thing about footwear is that your feet rarely change size once you’re an adult – even if the rest of you gains a little weight from over-indulgence in food – so growing out of favourite shoes isn’t likely to happen. The combination of food and shoes was one I couldn’t resist. Chefs(in) is, as the name suggests, a chef’s organization that brings together top chefs from Mallorca, Menorca and Ibiza. They organize some great foodie events, such as the Peccata Minuta tapas fairs held on Mallorca. 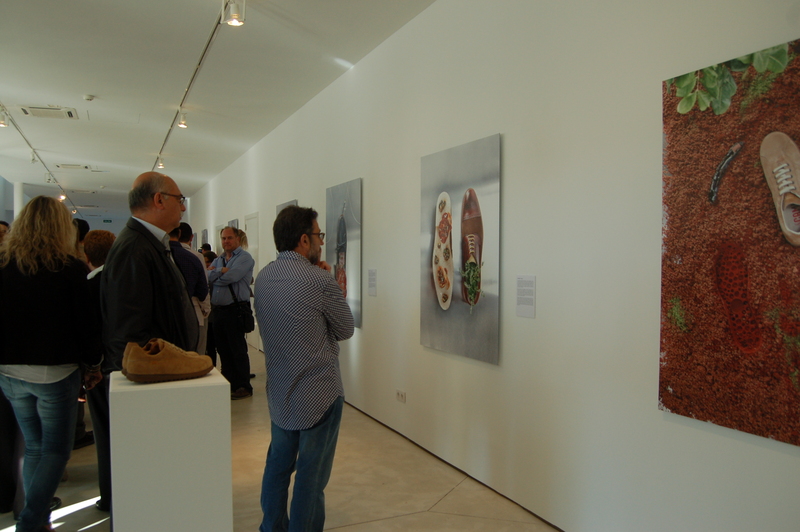 This exhibition is their latest initiative and I was amazed to learn from Chefs(in) founder Miguel Angel Payeras that the whole project – from conception to inauguration – took only around a month. 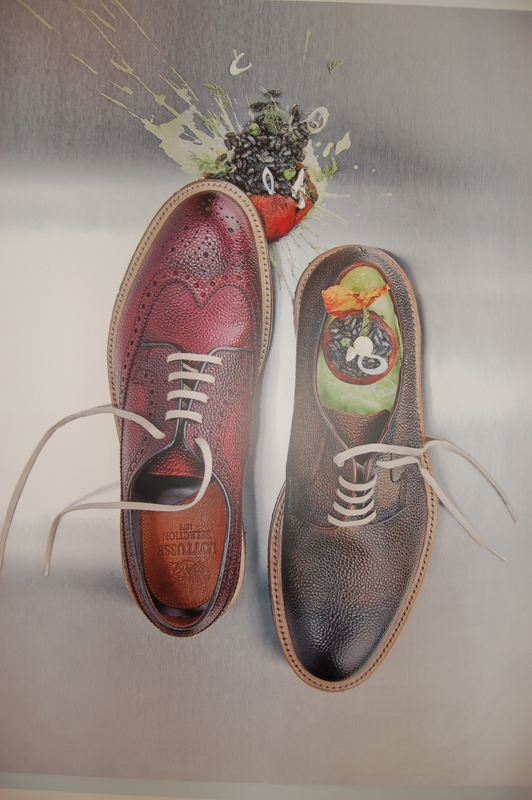 Chefs(in) worked with AFACA – the Mallorcan shoemakers’ association – and the local Inca council to put on the exhibition, which can be seen in the Museu del Calçat i la Pell de Inca until May 25th. From then on, each piece of photographic art will spend a couple of months in the restaurant of its creator. Eventually, all will be used at travel trade fairs to promote Mallorca’s gastronomy. The idea was that each chef would interpret a particular shoe from a culinary point of view, taking their inspiration from the textures, leathers, colours, the philosophy of the manufacturer or a visit to the factory. Under the direction of Chefs(in), Nando Esteva photographed the results, capturing the link between Mallorca’s best gastronomy and the island’s footwear industry. The exhibition inauguration was a great success, with a high attendance, the chance to talk to the participating chefs – and, importantly, to taste some of their delicious creations. Congratulations to Chefs(in) and all involved. I look forward to future events! Meanwhile, if you’re on Mallorca before May 25th, a visit to the exhibition in Inca is recommended. You’ll be amazed at the amount of equipment involved in making shoes . . .
Joan Marc (whose eponymous restaurant is in Inca), with his creation. Santi Taura’s creation. Santi’s restaurant is in Lloseta. 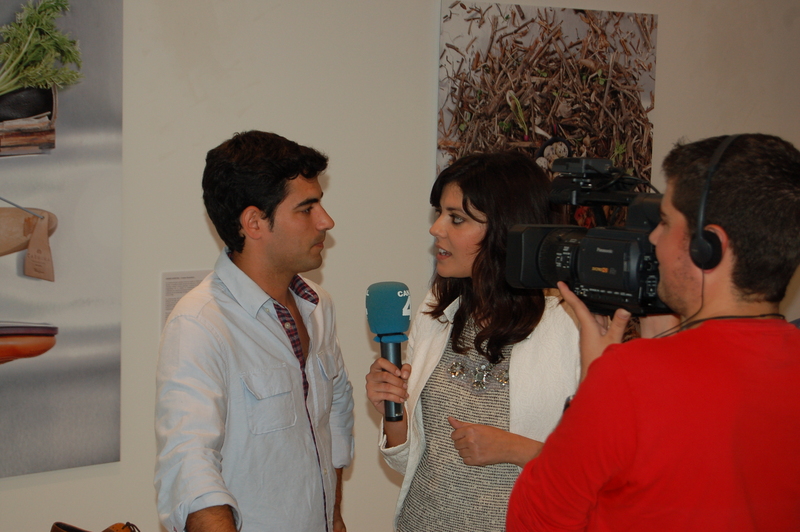 Andreu Genestra being interviewed for TV. His restaurant is on the outskirts of Capdepera.